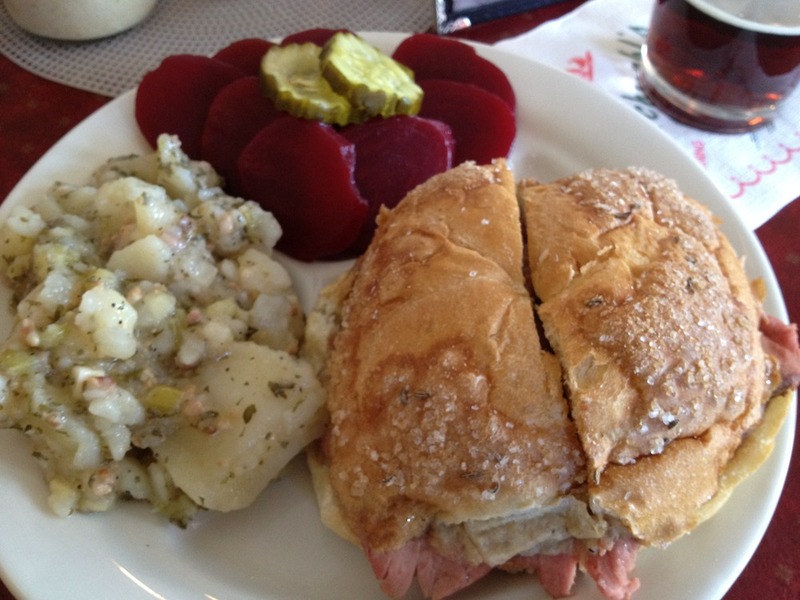 Famous for their roast beef sandwiches since 1837. 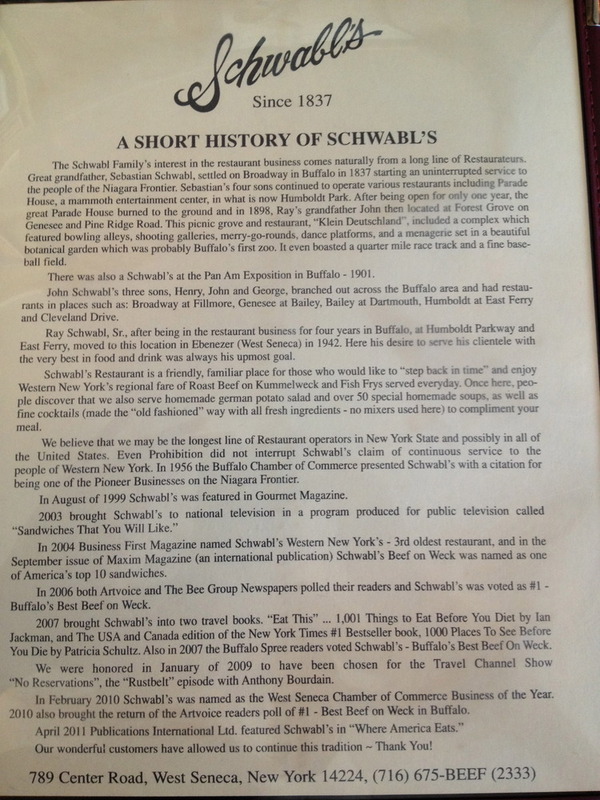 Supposedly the “longest line of Restaurant operators in New York State and possibly the United States”. Probly need to do some fact checking on that on. 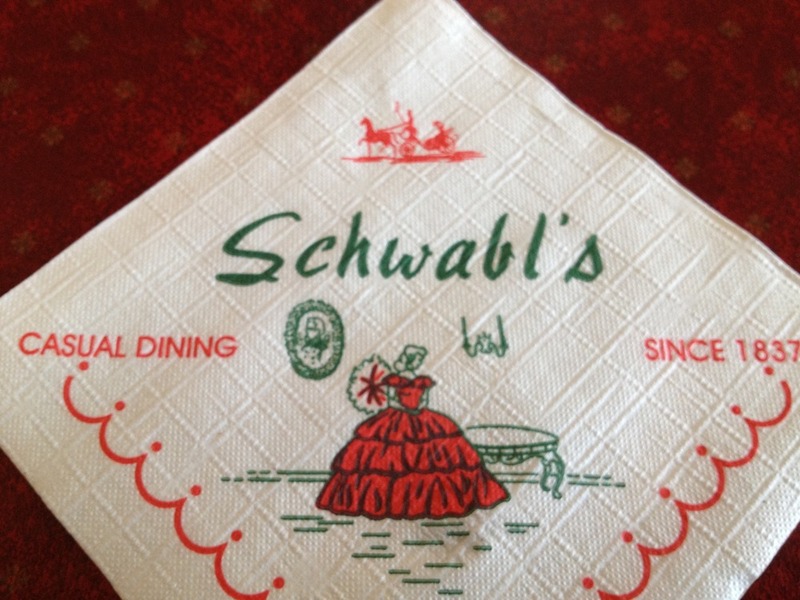 The place had plenty of charm, the potato salad was really great (heavy dill / vinegar based flavor with bacon bits). The sandwich beef was pretty tough and stringy, although I ordered mine medium rare. The Kimmelweck bun was perfect. 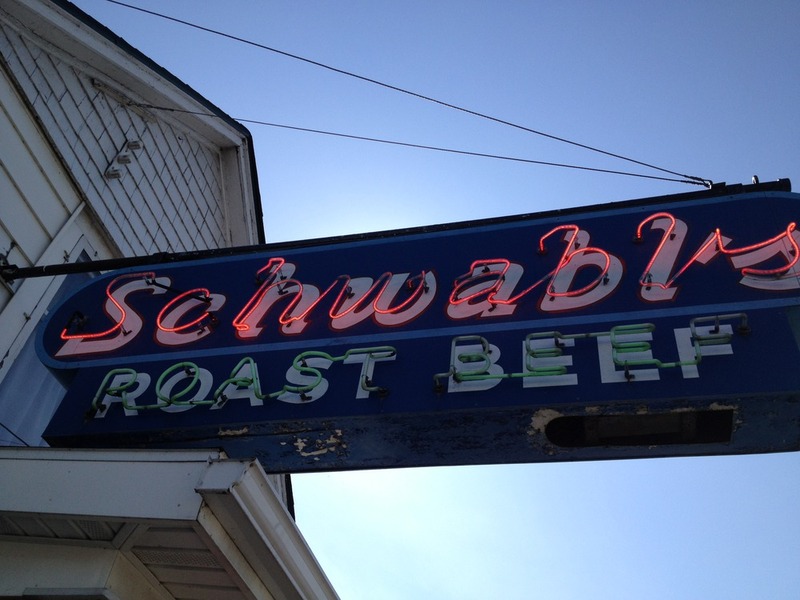 All in all, worth the trip for its famous factor, but whether or not this is the “best” beef on weck sandwich in Buffalo is hotly contested. From what I hear, its time has come and gone.